We truly are spoilt for choice when it comes to amazing travel destinations in our awesome country! 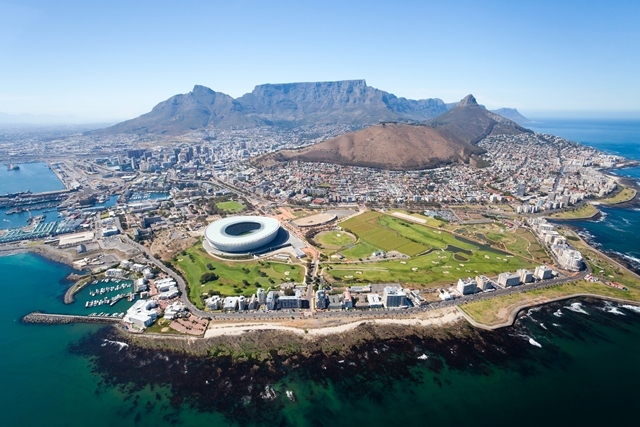 So, in celebration of their incredible domestic flight deals, Travelstart have compiled a list of 50 must see attractions in South Africa for you to explore! How many have you already visited? 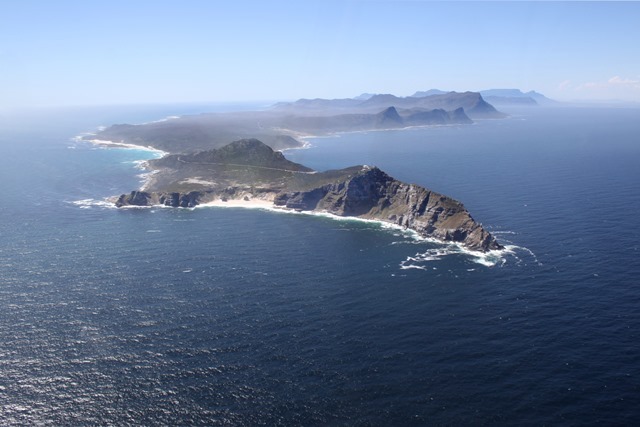 Cape Point lies at the tip of the Cape Peninsula, a nature reserve within the Table Mountain National Park. Originally named the Cape of Storms by the navigator Bartolomeu Dias, it features an 1859 lighthouse. Take the three minute Flying Dutchman funicular ride to it and let yourself be transported to 87 metres above sea level. 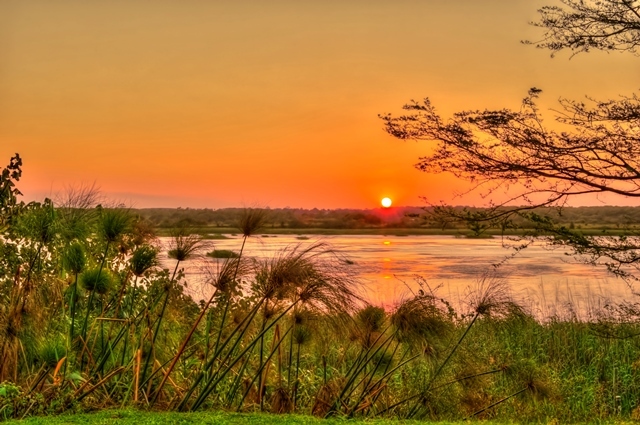 This is truly a nature lover’s paradise, with its abundance of flora and fauna, including over 250 species of birds and buck and baboons a-plenty, not to mention, the view at the end of the Earth. There is also a world-class restaurant and a curio shop. An adult return ticket is R49, children aged 6 – 16 R21. Named after Great Britain’s Queen Victoria and her youngest son Alfred, the V&A is a very popular destination for local families and tourists alike, offering an amazing choice of hundreds of shopping outlets, curio shops, fine dining, lots of (mostly free) live entertainment – including creative workshops, concerts and puppet shows. 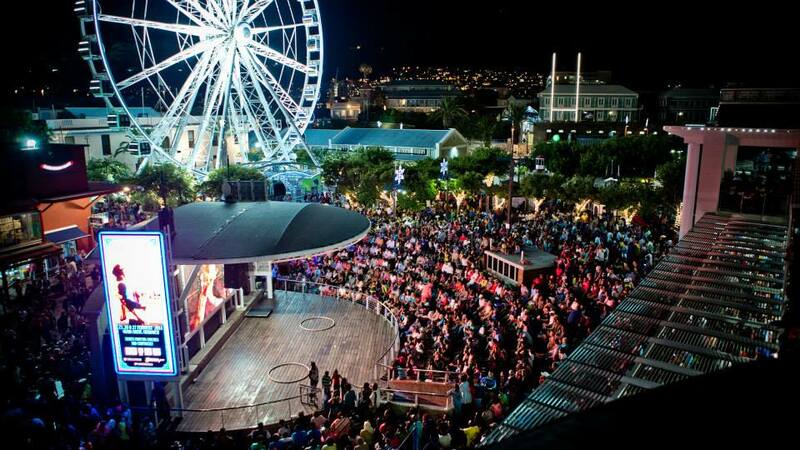 A choice of museums and markets, and a chance to learn all about the city harbour together with a visit to the popular and family-friendly Two Oceans Aquarium (prices: adults R112, kids under 4 free, children aged 4 – 13 R55, children aged 14 – 17 R87) makes for a great day out. There are many outdoor activities available from the V&A, including fun harbour cruises, helicopter flips and boat charters. 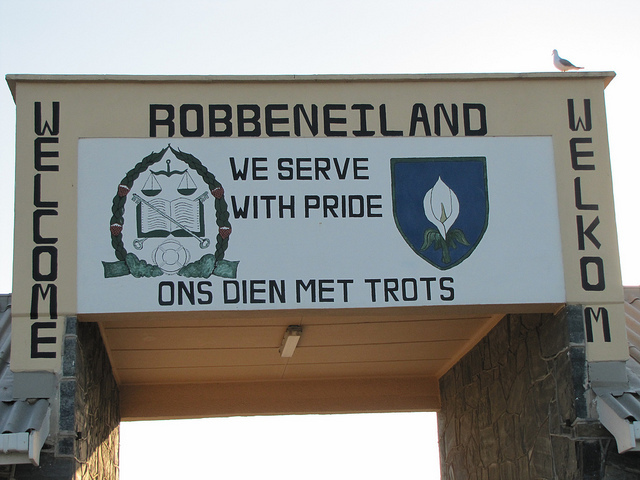 The Robben Island tour is an emotional pilgrimage to the former penal colony where many PAC and ANC members, including Nelson Mandela, were incarcerated. Today, it holds symbolic status, and like nearby Table Mountain, is a UNESCO World Heritage Site. On visiting, your guides may be former inmates, offering first-hand accounts of prison life. The tour features an interesting interactive exhibit at the Nelson Mandela Gateway, where the tour ferry leaves. The trip, lasting roughly two hours, includes a drive around the island and a visit to the prison. Ferries depart hourly between 9am and 3pm. Tickets cost R150 for adults and R75 for children. 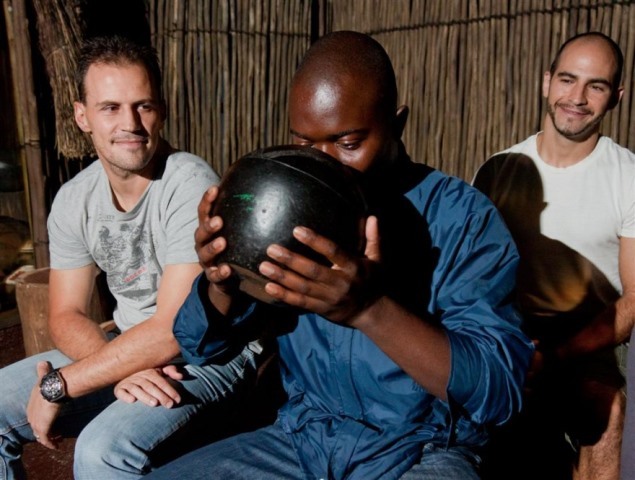 !Khwa ttu is a San Education and Culture Centre, providing an amazing learning experience on the first indigenous people of Southern Africa and their descendants. Learn about San history and their complex ‘click’ language, together with their tracking and rock art painting skills. 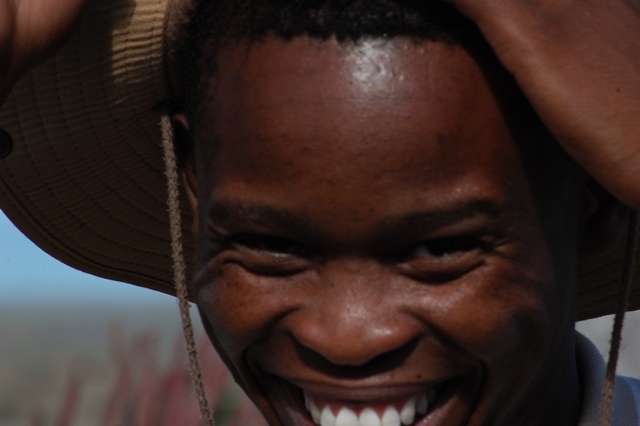 The Centre also offers an in depth photographic exhibition which helps visitors understand the issues facing the San people today, including the dispossession of land and natural resources. Enjoy the local wildlife and plentiful plant species too – a wonderful day out for anyone interested in South Africa and its original people. 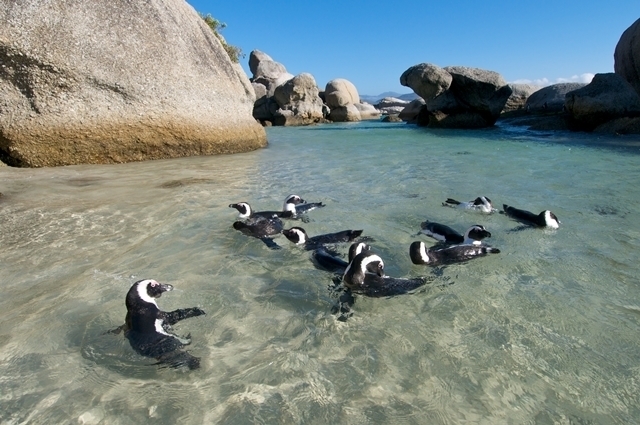 Tours cost R150 per person and last approximately 2 hours. How about a day out learning all about the history of beer? Sounds like thirsty work! A tour of Newlands Brewery illustrates the brewing process from start to refreshing finish. 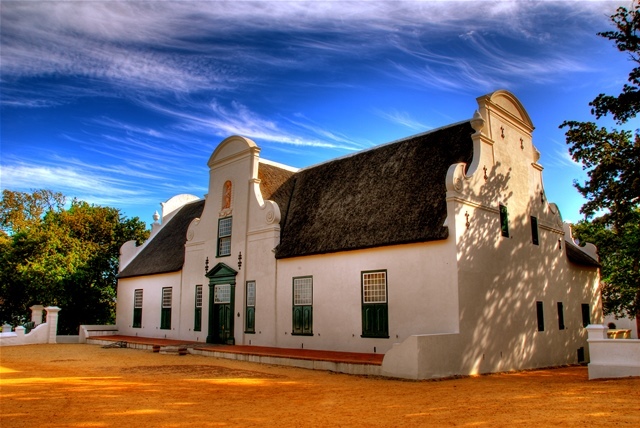 The beer, first brewed here by Pieter Visagie in 1658, grew from strength to strength. The tour takes in the whole production line, including the speedy bottling method and how the brewery makes sure its beers are produced following stringent quality practices. Best of all, you get the chance to enjoy two beers to try for yourself! 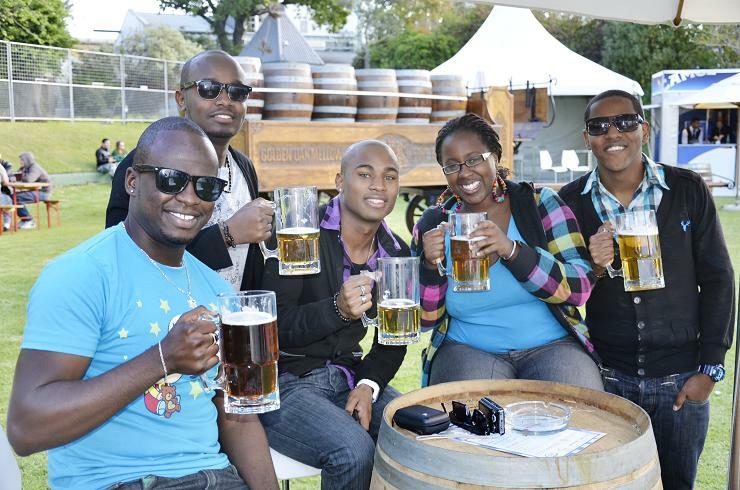 Tour price is R80 per adult and R50 per pensioner and student, includes two drinks, a tasting and the tour. World of Birds, with its walk-through aviaries, is the largest bird park in Africa and a must-see for bird lovers. 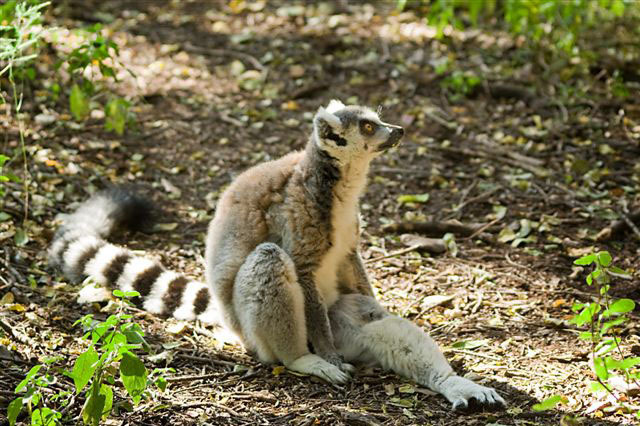 Situated in beautiful Hout Bay, it houses over 400 species, totalling 3000 birds – including parrots, turacos and flamingos – and small animals, comprising various species of monkey, such as tamarins, marmosets and baboons. 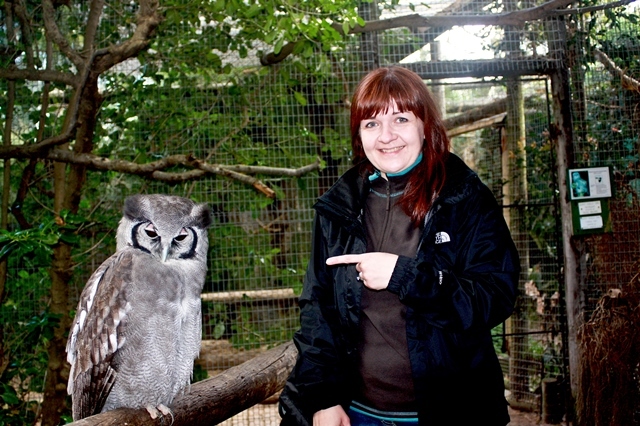 World of Birds is home to a breeding centre for threatened species and a rehabilitation centre for injured birds. Your kids will love the Monkey Jungle, with its delightful squirrel monkey residents. Entry fee: adults R85, children R40 and students (with card) R55. 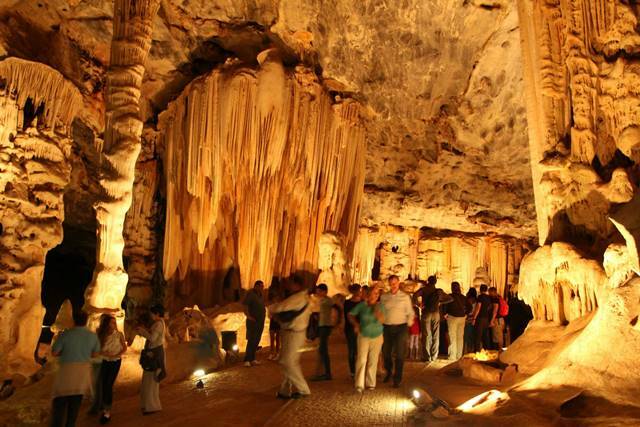 If you enjoy going underground, a visit to the Cango Caves in the Swartberg Mountains, 30 kilometres north of Oudtshoorn, is the way to go. The 20 million year old caves consist of a progression of hidden chambers, cut deeply into the solid limestone rock layer. Have fun exploring some of the stalagmite formations on either the standard or adventure (for the fitter members of your party) subterranean tours! The Interpretive Centre will explain more about the caves history, and there is also a curio shop selling African collectables. Prices subject to change. For all you nature lovers, a visit to the Big Tree in Tsitsikamma is something not to be missed. Estimated to be between 600 and 800 years old, this majestic tree stands 36.6 metres high, with a trunk circumference of 9 metres. A very pleasant and gentle 10 minute walk through the verdant, cool forest takes you to the tree or, for the more intrepid among you; there are two more challenging trails, respectively 2.6 and 4.2 km long. Price: free. Bloukrans Bridge is an arched road bridge and the highest in the African continent. Standing 708 feet above the floor of the gorge, it is part of one of only three highways in the world to have a bridge exceeding 500 feet. Take a bungee jump or ride the Flying Fox cable slide across the gorge. For those who prefer keeping their feet on the ground, a gentle walk along the catwalk to the top of the arch is probably a better option. 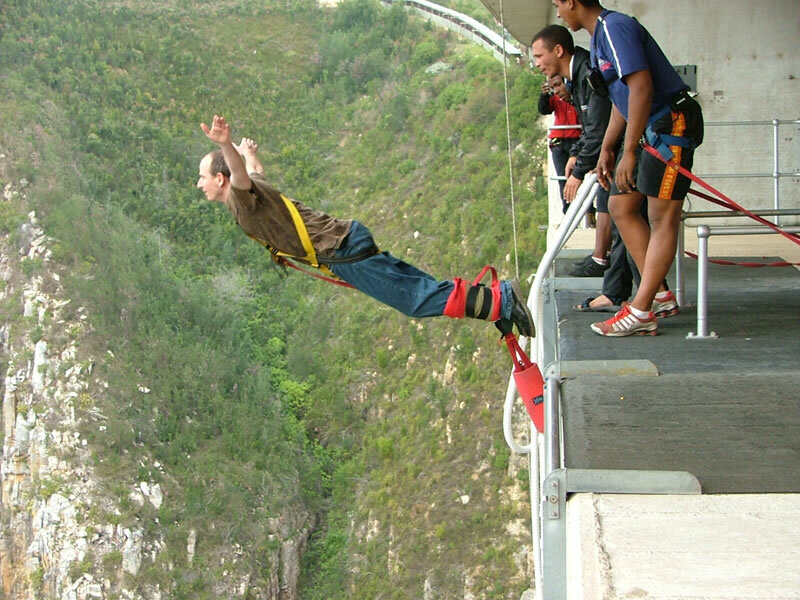 Bungee jump per person: R790. Flying Fox per person: R180. Per person tandem: R150. 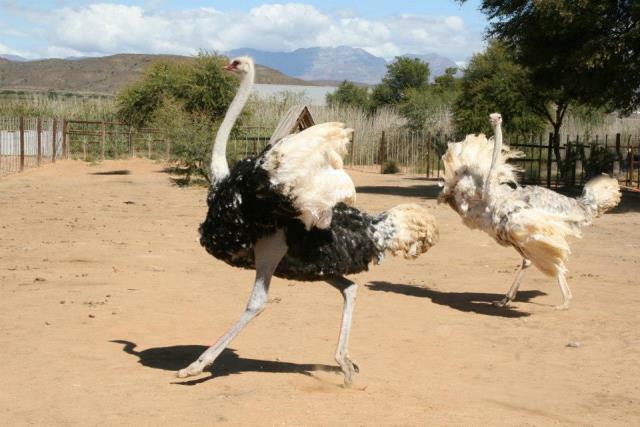 Oudsthoorn is the capital of the ostrich industry; a visit to the farm will clarify all about how the birds are bred and the various ways in which ostrich products are marketed and fashioned. For example, ostrich skin is used for handbags and shoes, and eggshells for decorative purposes. Ostrich meat is also popular, as it lean and full of protein. Your kids can sit on one of the wide eyed birds and also hold an ostrich egg, which would make an awfully big omelette! Prices: adults R80, kids R45. 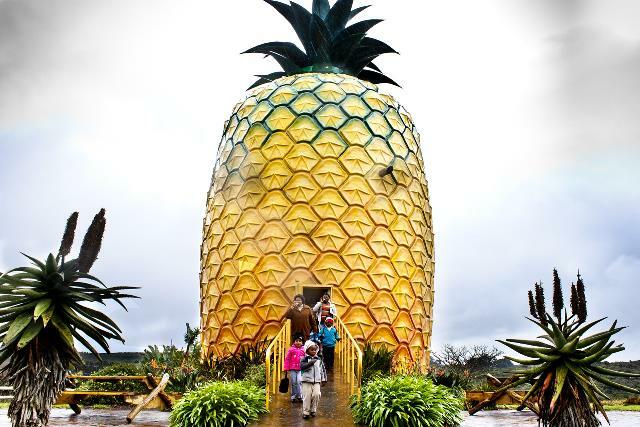 Bathurst is one of South Africa’s largest pineapple growing areas and has a 16.7 metre giant pineapple with a fibre-glass skin and a metal structure just to prove it! Inside the 60-seater auditorium, watch documentaries about the pineapple industry and then climb further up to the top to take in the amazing views of the landscape. Back on the ground, the kids can enjoy a farmer’s tractor ride through the pineapple fields. A fun attraction for the whole family. No entrance fee. Lying on the coastline about 70km west of Port Elizabeth, Jeffrey’s Bay (J-Bay to the locals!) 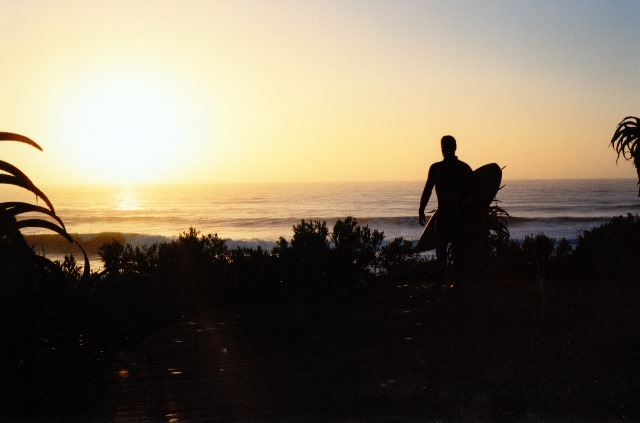 is one of the most popular surfing spots in South Africa and the world. Starting off as a small fishing village, it has grown in leaps and bounds; a lot of this due to the fact that it prides itself on having some of the best right hand breaking waves in the world! Surfing lessons can be taken at a cost of R250 (wetsuits supplied), and sand boarding costs R200. 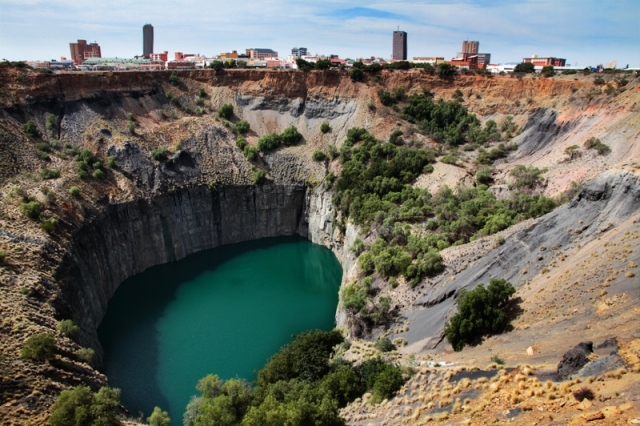 The world’s largest hand dug excavation site, The Big Hole was mined to about 800 metres and, in its time, yielded 2.7 tons of diamonds. The mine closed in 1914 and is now an enormous water filled crater. The first recorded South African diamond, the Eureka, is on display in the very informative museum. You can try your luck by sifting through some diamond bearing gravel and also experience a diamond mining operation. Refreshments are available at the bar and admission to the museum is free. 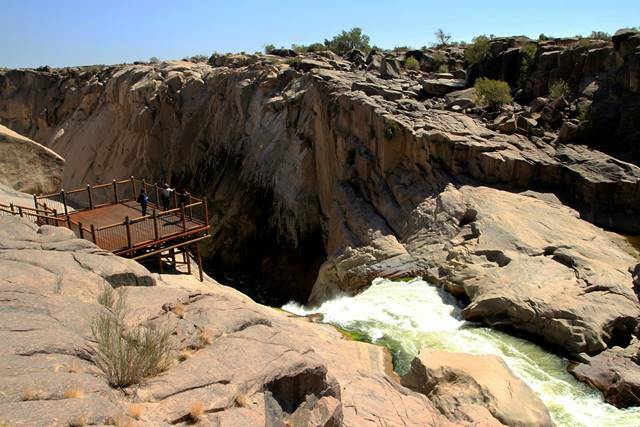 The formidable and thunderous flow of Augrabies Falls courses down the Orange River when it is in full flood. The 55 000 hectares on both sides provide plenty to explore for hikers and nature and animal lovers. The eerie looking kokerboom (quiver trees) have made their home here, together with many succulents, birds, zebras, springbok, gemspok, giraffes and various reptiles. Take a walk to the summit of Moon Rock to see one of the park’s best views. A great day out for everyone. Price: adults R12, kids R6. 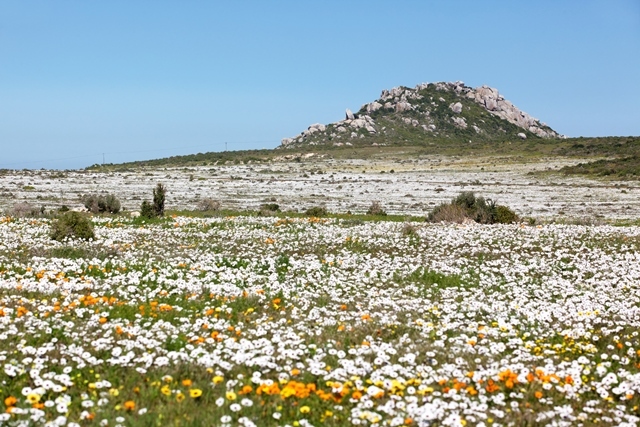 Lying five hours north of Cape Town, the Namaqualand is famous for its burst of colour every spring (July to October), when almost 4000 species of flowers bloom into life and when the semi-desert plains of Namaqualand are transformed into a sea of colour. You can spend a day or three here, driving, hiking or cycling. The Goegap Nature Reserve provides both picnic areas and overnight facilities. For botany lovers it shouldn’t be missed! 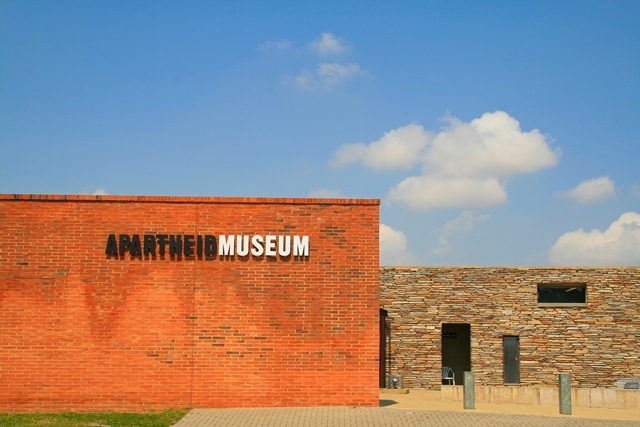 Designed to illustrate life under South Africa’s Apartheid regime from 1948 until 1990, within the Apartheid Museum there are photographs, film footage, text panels and 22 individual exhibitions which include visuals of life as it was then in the townships, including the forced removal of local residents. Many of the exhibitions are quite explicit and therefore children under 11 are not allowed to attend. This is well worth a visit for all those who wish to learn more about this challenging time in South African history. Price: adults R65, children R55. This large amusement park, located around an old Johannesburg gold mine and themed on the famous Gold Rush of the 19thCentury, consists of a museum exhibiting many gold mining techniques, including the chance to see how real gold is poured into casts by staff wearing period costumes. There is also a casino and, best of all for the kids, an exciting theme park with thrilling attractions, including roller coasters, water slides and the raging river rapids thrill ride! A perfect family day out. 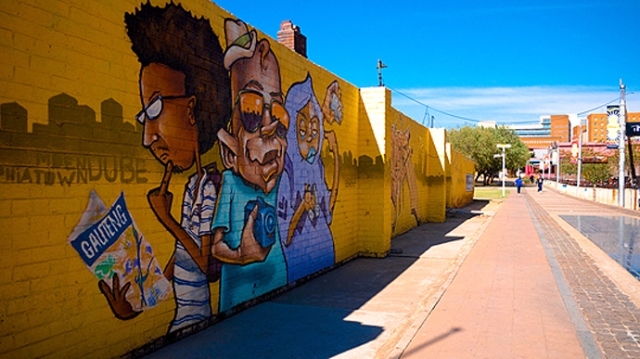 Centred on Mary Fitzgerald Square in downtown Johannesburg, Newtown is at the heart of the city’s rejuvenated centre. There is so much to enjoy here; listen to live jazz in nearby restaurants, attend a performing arts play in the Market Square Theatre, shop for samosas in the colourful Oriental Plaza, walk around the centre’s two art galleries or have fun searching for bargains around its weekly Saturday morning flea market. All interests are catered for in this lively location. Between 1908 and 1909 Satyagraha House was the South African base of Mahatma Gandhi. Built and designed by Ghandi’s friend Hermann Kallenbach, it was fashioned and named The Kraal, with its two rondavel-style rooms. Satyagraha is the tenet of passive resistance, the stance upon which Ghandi developed his successful struggle for India’s independence from the British Empire. 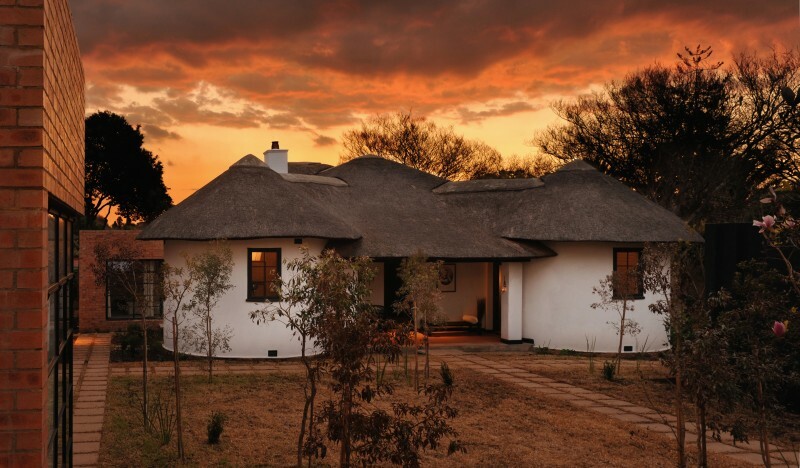 The house, situated in Orchards, Johannesburg, has been restored and provides the option to appreciate its tranquillity either through a day visit (free) or an overnight stay in one of its seven rooms. Prices vary from R1735 for a Superior Room to R4850 for the Family Cottage. Situated west of Hartbeesport Dan, in the Magaliesberg mountain range, at Bush Babies Monkey Sanctuary a guided walking tour on elevated wooden walkways through natural forest will captivate you through encounters with a range of exotic monkeys. It provides the perfect environment for monkeys and is one of several sanctuaries that specialise in providing rehabilitation for abused and orphaned animals, enabling them to remain in their natural environment. 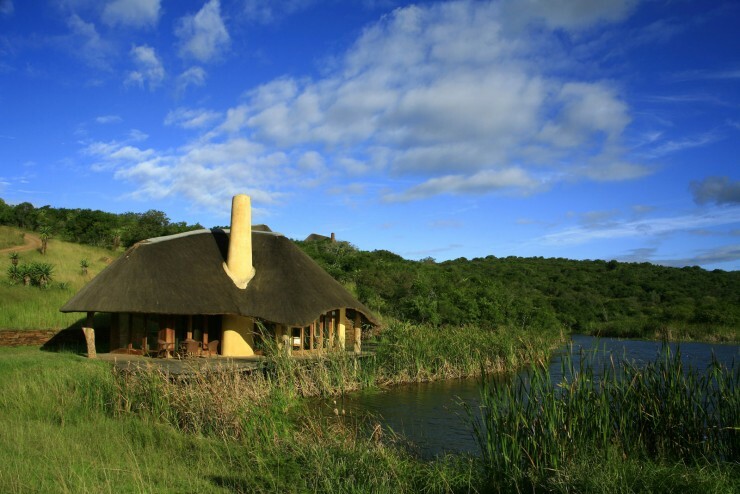 Learn all about the sanctuary and its work while enjoying the incredible bushveld views. Rates: R195 per adult, R95 per child (aged 4 – 14). This sanctuary, which focuses on the wellbeing and understanding of various endangered species, including rare white lions, cheetahs and wild dogs, is a wonderful opportunity for your kids to learn all about the different African species and to see lions, zebras, giraffes and various antelopes close up as they freely roam the area. 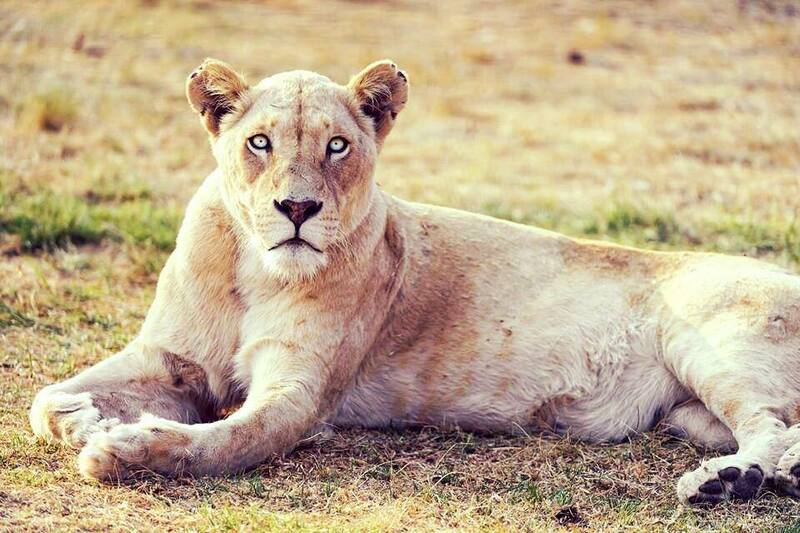 Price: adults R270 (R300 with lion cub interaction), children aged 4 – 12 R160 (R190 with lion cub interaction). Under 4’s, no charge. 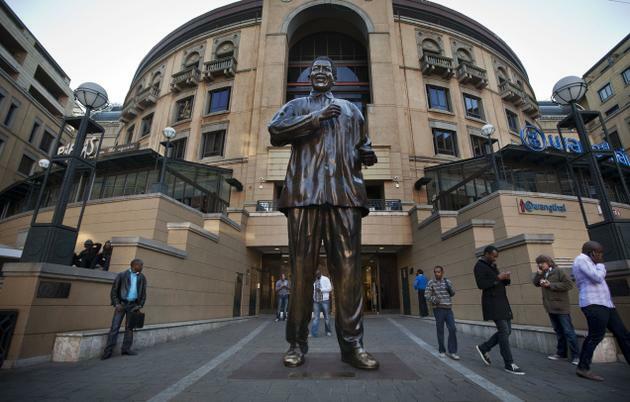 Within Nelson Mandela Square, at the core of Africa’s most influential economic district, stands a six metre tall statue of the eponymous beloved grandfather of South Africa. The square is situated in Johannesburg’s European-styled piazza of the same name, in lively Sandton, Gauteng Province. It is home to a variety of chic boutiques, upmarket shops, fashionable African, Italian, Greek and French restaurants and water fountains for the kids’ amusement, with the statue standing centre of it all. What a wonderful opportunity to have your photo taken side by side with a giant ode to the great man! 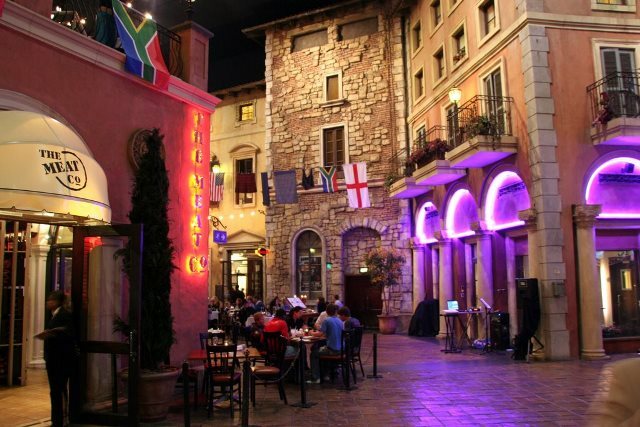 Some might say its gaudy, and its Tuscan inspired architecture looks out of place on the Joburg skyline, but there’s no denying that Montecasino offers an attractive option if you’re looking for entertainment in Johannesburg’s northern suburbs. Located at No. 1 Monte Casino Boulevard in Fourways, this exciting recreational complex is a destination for the whole family to enjoy. From clothing, jewellery and shoe shops to 40 dining restaurants (including the opportunity to dine in the sky) to choose from, as well as the ten pin bowling, casino, amazing nightlife, theatre, movies, and a comedy club, it makes for an exciting visit (not forgetting the Piazza’s musical fountain)! And with its three onsite upmarket hotels, there’s little reason not to base yourself here throughout your stay in Johannesburg. Located in the heart of the Newtown Cultural Precinct, World of Beer is a great place to learn all about the ‘golden nectar’ from its early Mesopotamian days to Europe and Africa. Breweries were established down here as early as 1658; to learn more about the process, take a tour and watch floating holograms, 3D movies and a 12m high screen to see how it all happens. After this thirst inducing 90 minute tour, enjoy two beers of your choice on the house, in the centre’s Tap Room! Price: adults R65, kids up to 17 years R15.00. 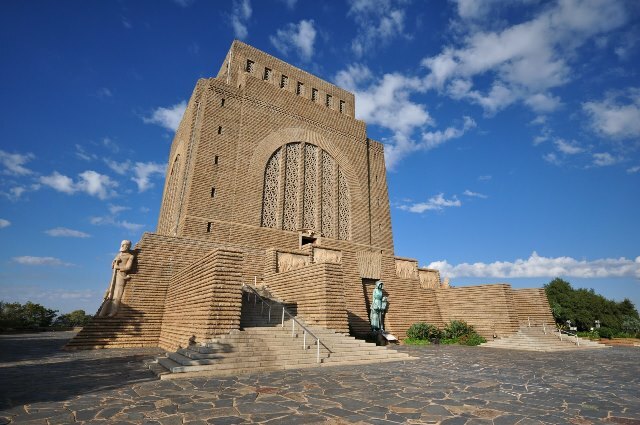 The Voortrekker Monument stands in Pretoria, the nation’s capital, as homage to the Voortrekker Pioneers and their 1835 to 1854 journey of discovery from the Cape into South Africa, then named the Interior. Situated in a beautiful nature reserve area in the Tshwane area, it is a very popular heritage site; the museum within offers the opportunity to learn about the often treacherous journey the Voortrekkers undertook and how they survived. There is also a restaurant and a picnic area. Fee: R55 for adults, parents with own children under 18, R110. 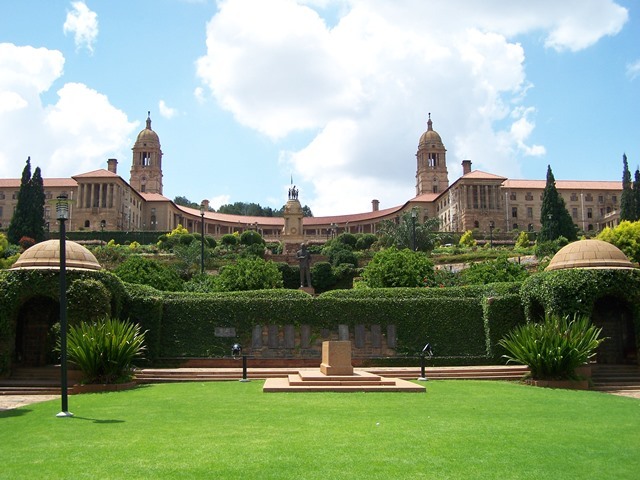 The Union Buildings in Pretoria form the official seat of the South African Government and are a National Heritage Site. The Buildings are an iconic South African landmark, having born witness to its democratic change as well as its challenging past. In fact, this is where, in 1994, Nelson Mandela was sworn in as South Africa’s first black president. Though the buildings themselves are not open to the public, the attractively landscaped gardens that surround the building are popular for picnics, with a new statue of Mandela to oversee it all. 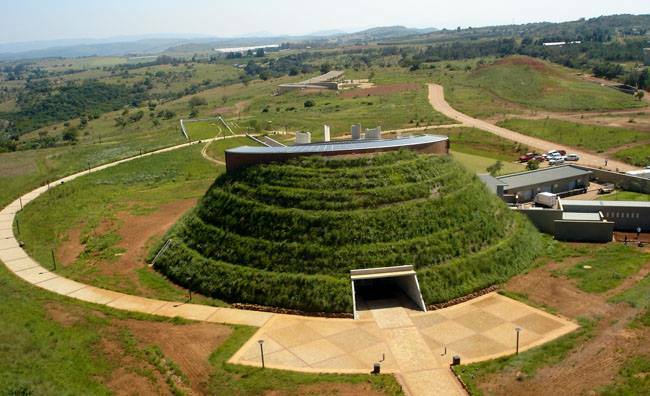 The Maropeng Exhibition in the Tumulus Building within the Cradle of Humankind Heritage Site is an hour’s drive from Johannesburg, and is one of eight World Heritage sites in South Africa. The 47 000 hectare complex, having revealed and answered many questions about our ancestors, exhibits clear and thought provoking exhibits, including stone tools, original fossils and engraved rocks. Their technology suggests that they originate from the Stone Age, approximately 1 million years ago! This is a fascinating learning experience for the whole family. Price: adults R145, Kids aged 4 – 14 R82, under 4’s free. Price for a combination ticket, which includes Sterkfontein Caves: adults R215, kids aged 4 – 14 R155, under 4’s free. 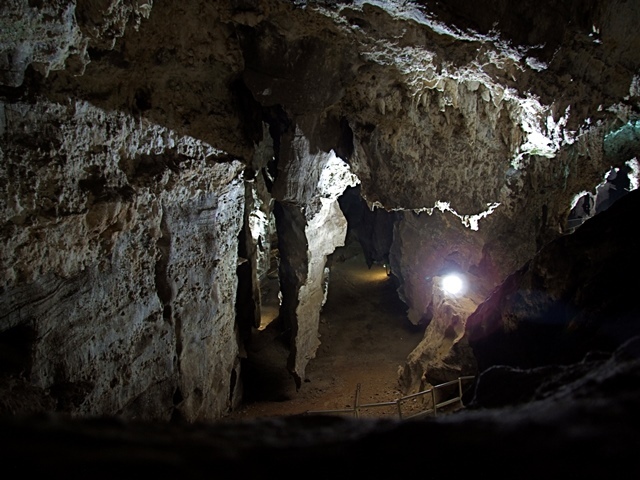 The Sterkfontein Caves consist of a set of limestone caves situated in the Cradle of Humankind World Heritage Site, near Maropeng. Fascinating discoveries have been made within the caves, including the world renowned “Mrs Ples” and “Little Foot”, which is an almost complete 3 million year old Australopithecus skeleton! Go back in time by taking a fascinating tour deep into the caves themselves – an educational experience for the whole family. Price: adults R150, kids aged 4 to 14 R88. 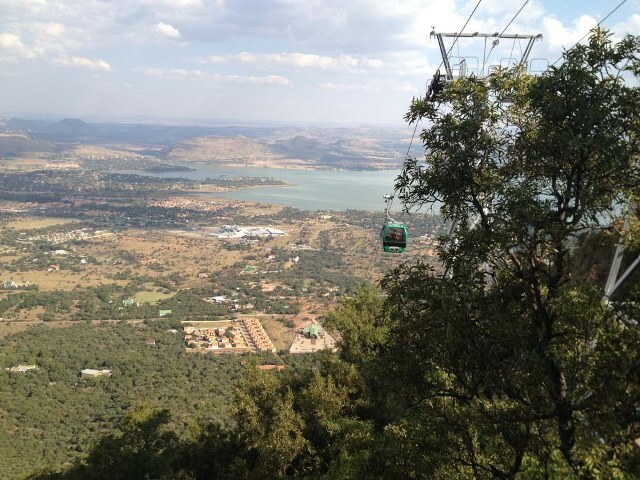 Take the ‘Harties Cableway’ and get a fabulous view of the Hartbeespoort Dam and the stunning Magaliesberg mountain range from an exhilarating cable car trip! The longest mono-cableway in Africa, it offers a variety of fun activities – both at the base and at the top. From walking (great for nature lovers) to hiking, together with an educational mountain walkway, a KidsZone and the Dassie Loop walkway for the kids, not to mention shopping and dining, the Harties Cableway is a must if you’re looking for things to do in this region of South Africa! 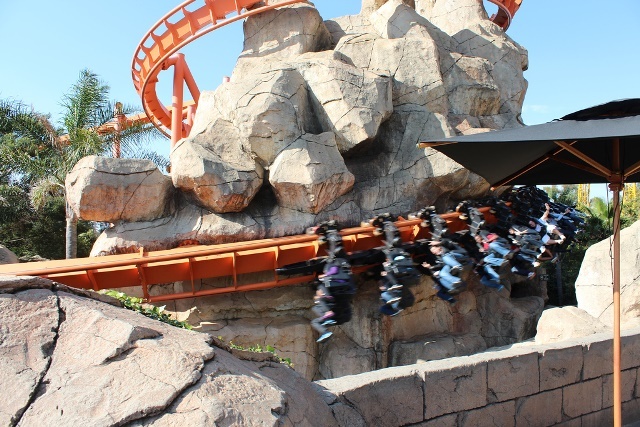 Price for a return trip: adults R160, kids aged 4 – 14 R90. Under 4’s free. 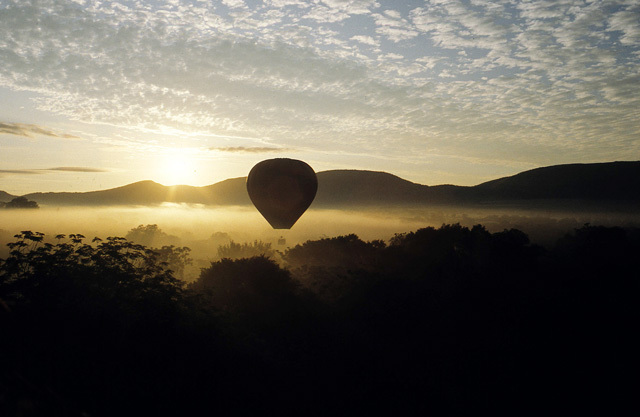 Slowly float over the Cradle of Mankind, the Magalies River Valley and the Hartbeespoort Dam with Bill Harrop’s “Original” Balloon Safaris. Passengers assemble at dawn in the Skeerpoort balloon launch area for a snack of hot drinks and biscuits before embarking on the hour long ride, with a first class champagne breakfast to look forward to once back at base. This is an unforgettable journey over some of the world’s most beautiful countryside and one which will linger in your memory for a very long time! Price: R2310 per person. Luxury personified! Its entrance consists of stunning mosaic frescos and golden zebra hide upholstered furniture, and its renowned towers are embellished with elephant tusks. The Palace was inspired by a lost African tribe fantasy and is rated as one of the Leading Hotels of the World. 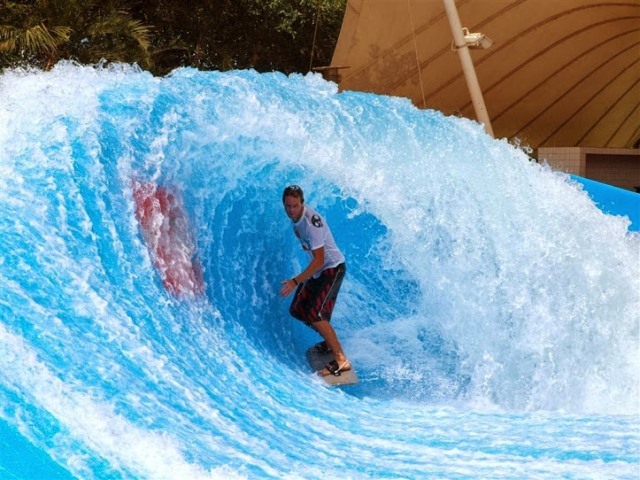 From here, you can avail yourself of casinos, safaris, golf, first class restaurants and accommodation, least of all, the Sun City Valley of Waves water park. 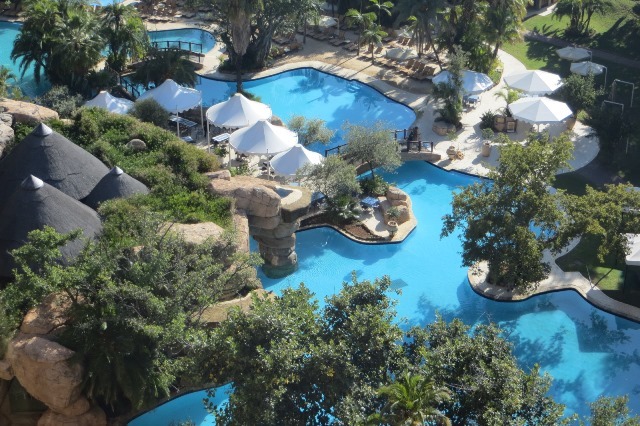 With its choice of luxury and adventure for all ages, it is perfect for a family holiday in South Africa. The Blyde River Canyon Nature Reserve is the world’s third largest canyon and one of the most beautiful. As you look down on scenic waterfalls and abundant vegetation, the view from the aptly named God’s Window is biblical. 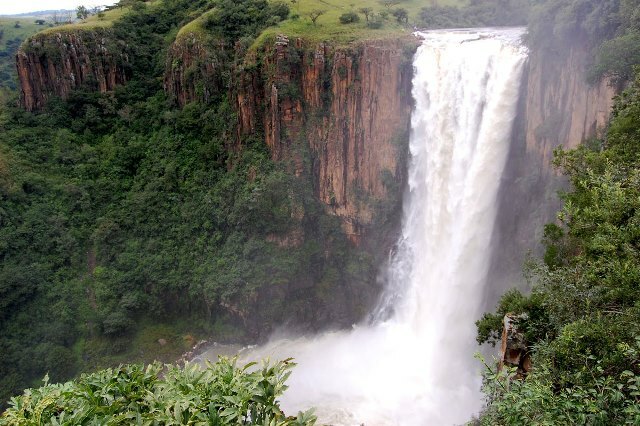 Near to the Kruger National Park, the Mpumalanga Nature Reserve covers almost 29 000 hectares and offers activities ranging from hiking, biking, fishing and abseiling, to white-water rafting, boat trips and much more. Make a day of it or stay in a private lodge or guesthouse. Price: R30 pp (includes use of picnic facilities). 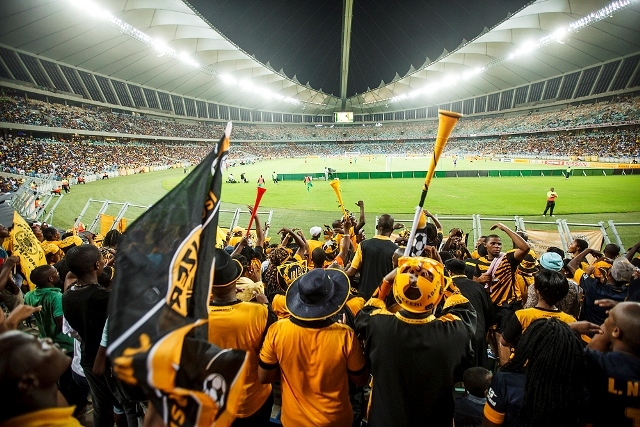 Durban’s sports arena pride and joy is primarily known for having hosted the 2010 FIFA World Cup. It has a capacity of over 62 000 and its clever design permits the seating to be modified, enabling both smaller and larger matches to be played. It has two permanent seating tiers, a third having been added for the World Cup. The stadium has a SkyCar or a 550 step walk to the top of its arch for a fantastic view of Durban and there are other exciting activities available, together with plenty of shops, restaurants and food outlets. Entrance fee: adults R90, children under 12 R45 and children under 6 free. 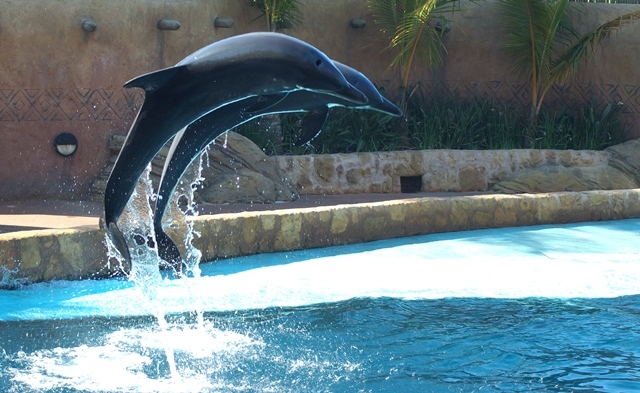 An exciting marine theme park in Durban, comprising Sea World, the uShaka Village Walk shopping centre and the Wet’n’Wild Water Park, uShaka provides the ideal location for a family day out in Durban. From watching a black mamba or a hairy tarantula through special spy holes in the Walk’s Dangerous Creature exhibit to the friendlier seal, dolphin and penguin shows, and the exhilarating slides, tube rides, the adventure river ride for older teens and the kiddies slides for younger members, there is plenty of fun to be had here for the whole family. Entrance fee: A combo ticket of R185 for adults and R139 for kids combines admittance to both Sea World and the Wet’n’Wild Theme Park. For decades the Golden Mile, with its paved and easy to navigate walkway that extends from North Beach, starting from Blue Lagoon, to Addington on South Beach, has been popular with cyclists, joggers and leisurely strollers. There is plenty to stop and see along the way, including restaurants, the beaches with their sheltered swimming areas, and the backline where the surfers of Durban paddle into wave after wave of warm Indian Ocean bliss. Scattered across the green hills of outer west Durban, around the Umgeni River and its tributaries, the valley is undeniably one of KZN’s most beautiful rural settings. There is plenty to learn about the indigenous Zulus and their culture in this tranquil and beautiful area. 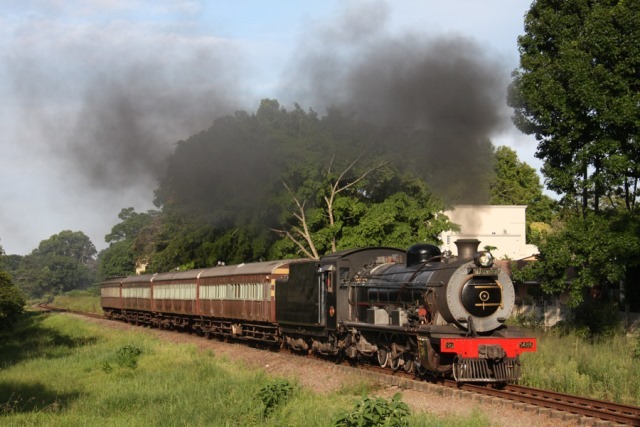 There is plenty to do here too, from the 1000 Hills Choo Choo steam train running from Kloof to Cato Ridge, fishing and boating at Inanda Dam and Shongweni Dam, and for the more adventurous, microlight flights. Prices vary depending on which adventure you choose. This wildlife sanctuary is situated on the hills of a quiet farming community close enough for a day trip from Durban, but far enough away from the city to maintain a peaceful environment. The reserve is home to big game, such as rhinos, hippos, kudus, sable antelopes and giraffes, and more than 380 bird species. Lovers of interesting flora will enjoy discovering the local plant life, which include the colourful Euphorbia and Fiery Aloe. 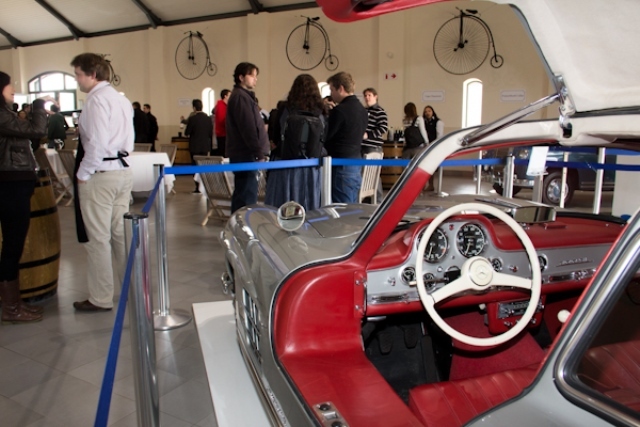 Entrance fee: Admittance for one car with two adults costs R160. Refreshments extra. This 200 kilometre long range of mountains is one of the oldest in the world and the largest and most spectacular section of it concludes in Kwa-Zulu Natal province. It comprises beautiful cliffs, forests and waterfalls, as well as many hiking routes. There are plenty of opportunities to see some of the 290 bird and 48 mammal species and interesting and rare plant life varieties. For the intrepid visitor, there is the opportunity to try sheer-face rock climbing, abseiling and river rafting. A helicopter ride to view the entire area is also a popular activity. 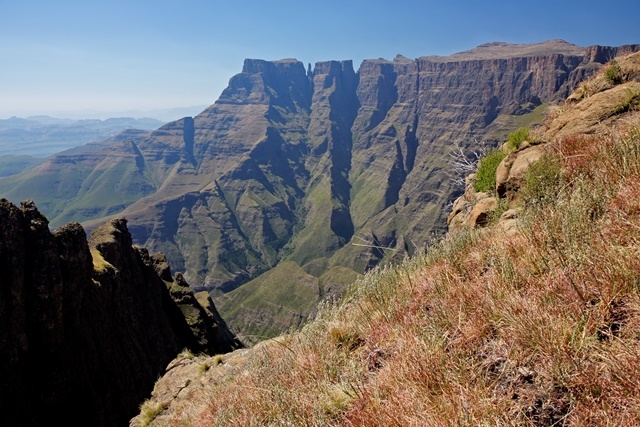 This is the only route over the Drakensberg escarpment into the Kingdom of Lesotho. Opened to traffic in 1955, and originally serving as a pack animal trail. 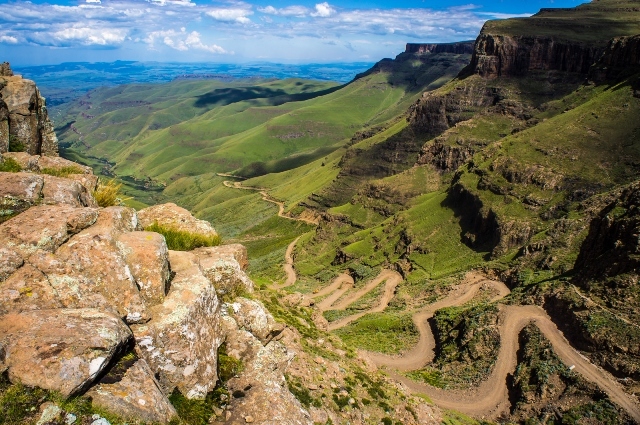 Sani Pass offers exhilarating path twists as it turns upwards through rocky cliffs that peak at 2873 metres above sea level, thus earning its title of ‘Roof of Africa’. Besides driving up (by 4×4), you can also mountain bike it, quad bike motorcycle it or, if you are feeling particularly fit, tackle it by foot! When you reach the Kingdom, you will be greeted by the Basotho tribe as well as The Highest Pub in Africa! 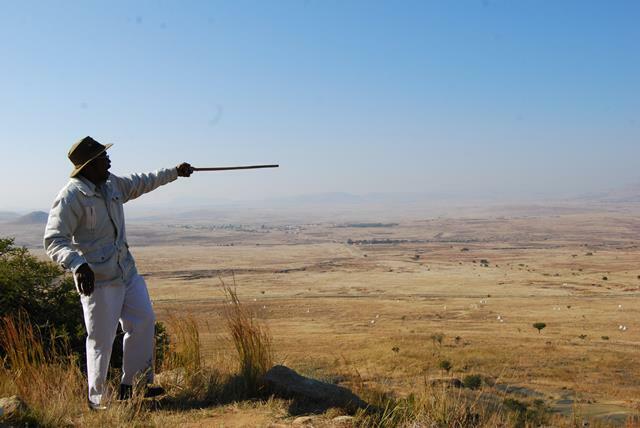 The battlefields of Kwa-Zulu Natal, which include Rorke’s Drift, are a must see location for all history buffs. There are plenty of specialist tour operators that will organise a whole coach trip for you or you can hire someone locally for the day once you are there; most hotels will recommend a tour guide. If you decide to do the tour independently, make sure you have a good road map with you. The KZN Battlefields incorporate Zulu battle locations and historical sites which cover the Voortrekker Zulu wars, the Anglo-Zulu war, the Zulu civil war and the South African/Anglo Boer War. A site of significance in South African history, the Mandela Capture Site near the Natal Midlands is marked by a striking sculpture. This commemoration spot was, until fairly recently, identified by a simple bricked area and plaque but, on the 50th anniversary of Mandela’s capture, an imposing steel sculpture was erected. 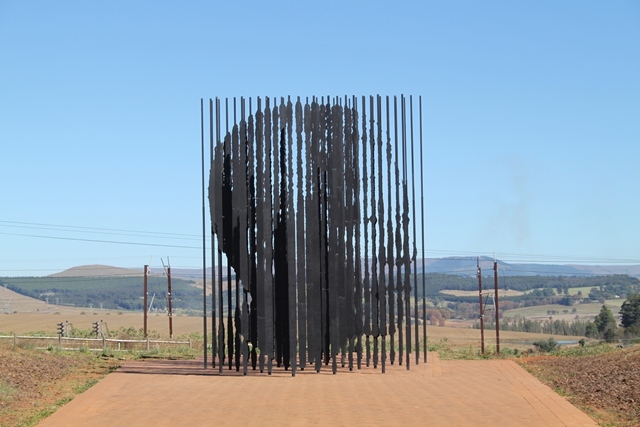 The sculpture creates a clever optical illusion: from a distance, it appears to be simply 50 steel poles of various heights but, when you near it, the poles merge to make an image of Mandela’s face. The visitor centre provides meals between Friday and Sunday and there is also a swimming pool. Entrance is free. 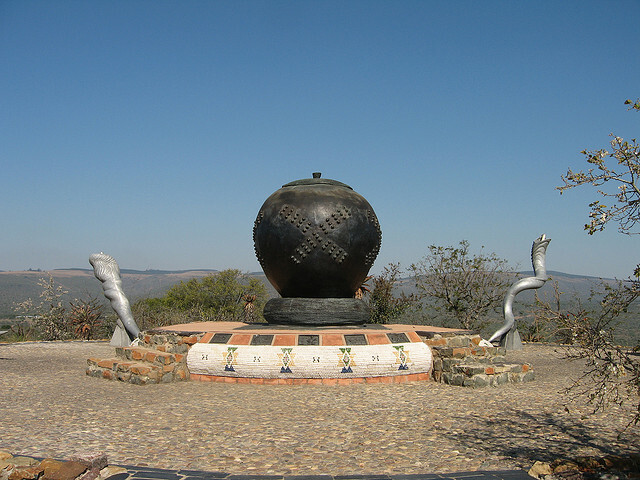 A visit to the Spirit Of The Emakhosini monument should be paid by anyone interested in Zulu life and history. The monument is situated in the Valley of the Kings and comprises an enormous Zulu bronze beer pot surrounded by 18 bronze reliefs representing Zulu life, and seven large horns that symbolise the seven kings buried in the valley. You will also see kwaMatiwane, where Voortrekker leader Piet Retief and his men died, and kwaMgungundlovu, the Royal Residence of King Dingane. Entrance is free but for a small fee the local guides will tell you all about the history. This stunning 95 metre waterfall is set in the Kwa-Zulu Natal Midlands, near the town of Howick, and is surrounded by scenic rivers, lakes, dams and luscious forest. A perfect spot for a picnic walk and shop around at the many arts and craft outlets, which include carpet weavers, leather works and many others. Entrance is free, and the falls are easily accessible from the N3 Highway near Midmar Dam. Situated in the stylish seaside suburb of Umhlanga, 30 minutes from Durban, Gateway is a multi-level mega shopping and entertainment complex incorporating over 400 retail shops, more than 30 restaurants and coffee houses, a 10-pin bowling alley, a go-kart arena, a skate park with a near-vertical ramp, an indoor funfair, two individual movie houses and the Wavehouse – a surfing water park with a difference! 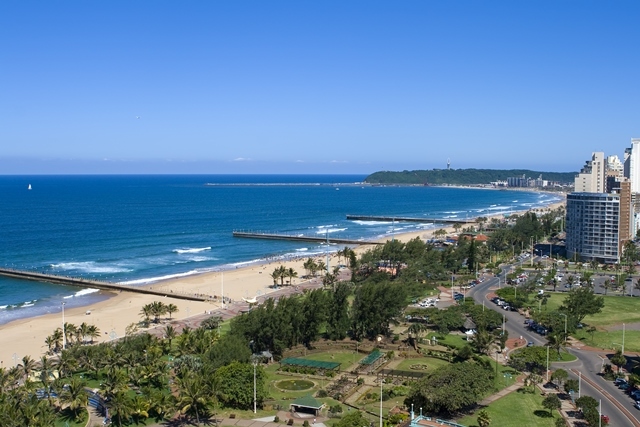 It is the perfect Durban destination for the whole family because, whether you are interested in shopping, eating or just having fun, there is something here for everyone. St Lucia Estuary is South Africa’s first World Heritage Site and home to approximately 800 hippopotami, 1200 Nile crocodiles and many other animals, including black rhinos, leopards, greater kudus and abundant invertebrates. Exciting attractions include kayaking on the estuary, a day self or night guided game drive and horse riding around the iSimangaliso Wetland Park and a walk on the iGwalagwala Trail to spot its variety of birds. This popular family campsite has a minimum charge of R180 for two, with additional charges of R90 per adult and R45 per child. Activity costs vary in price.